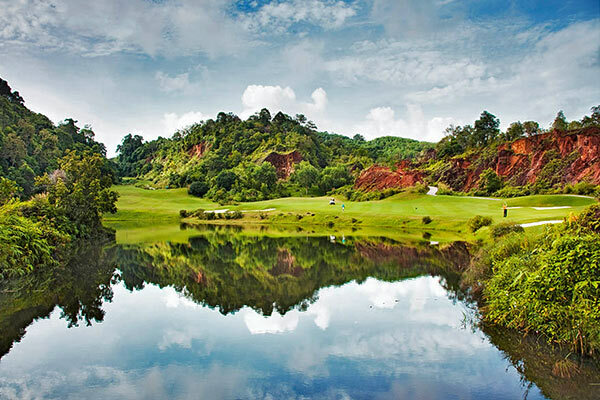 The Red Mountain has fast become labeled one of Asia's top courses since it opened in 2007. Twisting its way through the rugged landscape of an old tin mine, this course offers an exciting variety of play to match the stunning variety of nature. There are long par 4's stretching up to 470 yards for the long hitters, drivable par 4's with the chance of a birdie and the signature 9th hole is a dramatic par 3 with a 50m drop from tee to green. Each hole presents a different challenge with a variety of options, rewarding those with a tactical approach to their game and the measured skill to see it safely to the green. An exciting variety of green play also presents itself and with the newest, shade-tolerant Bermuda Hybrid grasses, putting surfaces remain fast and true year round. 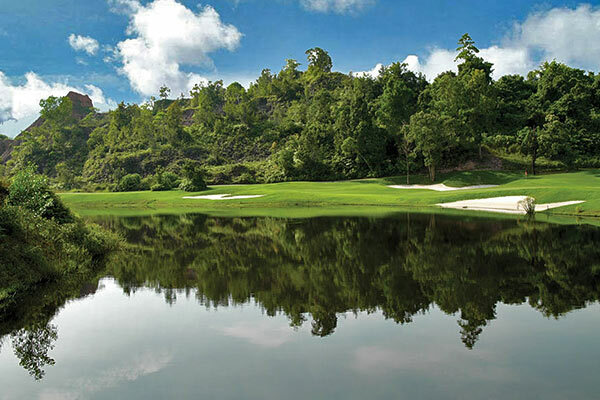 There are natural waste bunkers, towering precipices, deep ravines and flooded gullies, all seamlessly integrated and challenging even to the most experienced players. 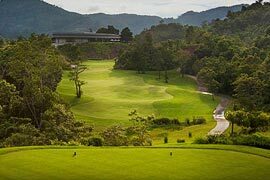 And as you weave your way through the dramatic changes in elevation, you are rewarded with panoramic views over Phuket before heading back down another gully lined with tropical forest. In fact, the elevation changes so drastically on this layout that golf carts a compulsory addition. Every aspect of Red Mountain ensures her players are captivated by the exciting diversity of play and the spectacular natural scenery. The Red Mountain course is a standard par 72 covering just under 7,000 yards in total from the pro tees, making it a challenging but enjoyable course for players of different levels. Exceptional care has been taken regarding the drainage, ensuring the fairways are ready and in top condition, even after the torrential downpours of rainy season. 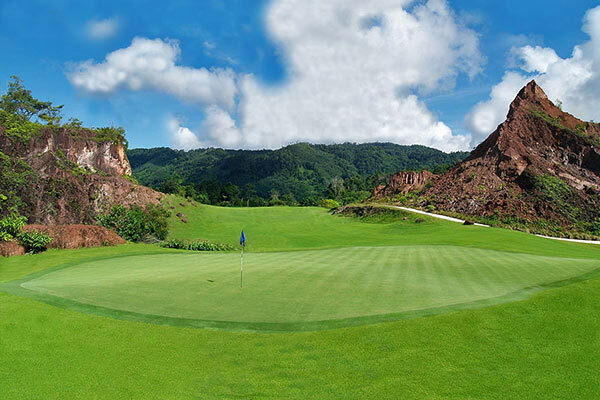 With exceptional off-course facilities to accompany the top-class golf, Red Mountain has rightly earned the label of Best Course in Phuket. 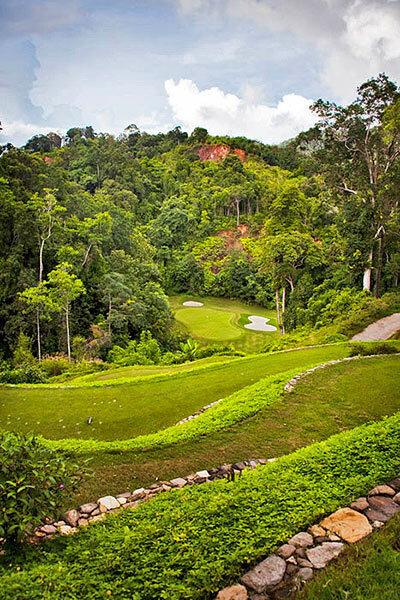 Use of golf cart on Red Mountain Golf Club Phuket is compulsory. Maximum 1 golfer per cart is permitted. The golf cart rental is 400 Baht/cart/person (for 9 Holes), or 700 Baht/cart/person (for 18 Holes). Rates above are NOT inclusive of caddy tip. 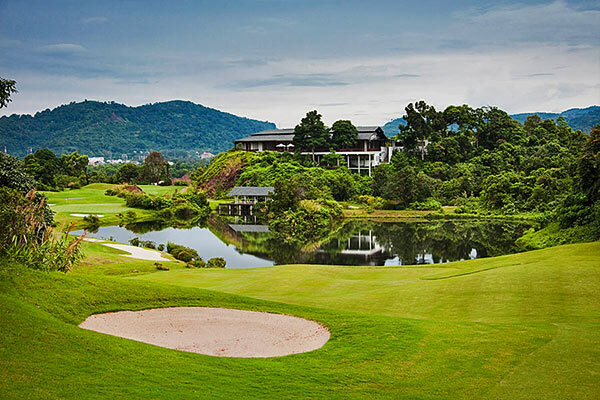 Red Mountain Golf Club has recommended to tip their caddy from 200 Baht (for 9 Holes), or 400 Baht (for 18 Holes). You can give it directly to your caddy after the game. Follower fee of 800 Baht/person (for 9 Holes) or 1,100 Baht/person (for 18 Holes) must be paid to the proshop, if you have non-golfers accompany into the course please inform us in the booking form.